Honduras Coffee Kids Uniocafe is produced by 33 young coffee producers— 6 women and 27 men, ages 15 through 39—from the Uniocafe Youth Committee who are participating in the Coffee Kids program. Uniocafe is a producer association in the Ocotepeque region of Western Honduras. 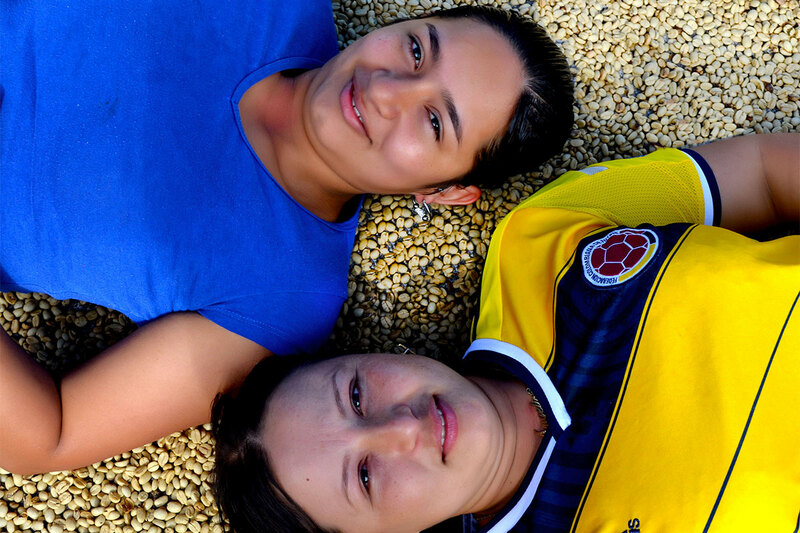 The umbrella organization of Uniocafe supports 28 producer groups, representing more than 1,000 coffee farmers. Since 2007, Uniocafe has been investing in its producer network by providing training, financing and access to coffee buyers. In 2016, Uniocafe began expanding its programs to focus on empowering youth, promoting gender equity and addressing climate change. Currently, Uniocafe provides young producers with best-practices training in coffee cultivation, cupping and coffee quality, as well as processing and preparation for export. At the same time, the youth are learning how to develop strong organizational and business skills. 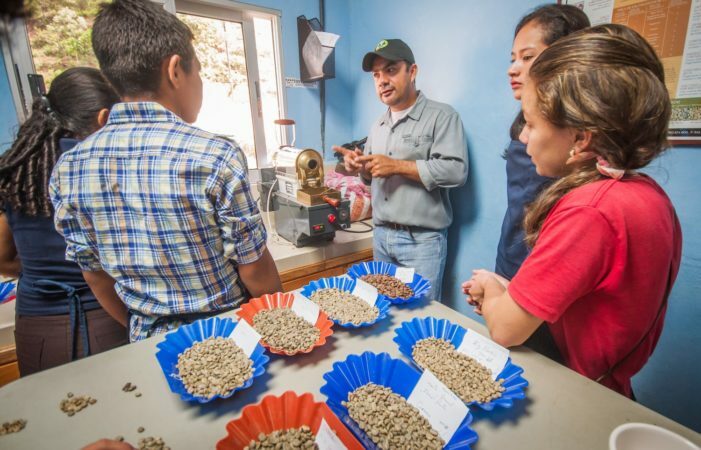 Coffee Kids, a program of the coffee nonprofit foundation Hanns R. Neumann Stiftung (HRNS), has been working with farmer associations in the Trifino region of Central America—the shared border of Honduras, Guatemala and El Salvador. 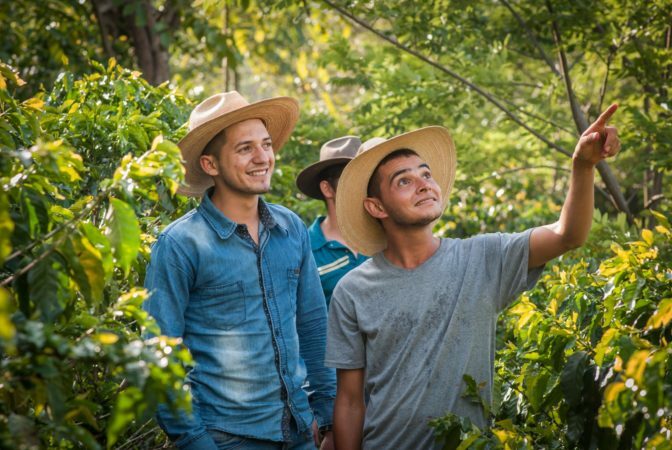 The goal of Coffee Kids is to awaken the entrepreneurial spirit in young farmers, to encourage them to believe in themselves and to help ensure better livelihoods for them and their families. Coffee Kids, through its Rural Business Workshops, provides agronomy and quality-control training, business mentoring and access to financing. Globally—in Trifinio, Colombia and Tanzania—it now includes more than 250 young people. Coffee Kids believes that if we can support the creativity, innovation and passion of these young people, they'll have the capacity to adapt to the challenges ahead. *For every pound of this coffee sold, InterAmerican is giving 10 cents back to the producers. Sweet, crisp apple, citrus, caramel.